B’nai Sholom congregants have beautiful and heartfelt traditions at Passover. 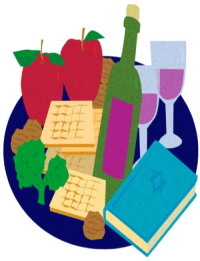 Your Web Site team would love to feature photos of your own Passover seder here, on your congregational website. We encourage you to take photos, identify everyone in them, and e-mail them to publicity@bnaisholom.albany.ny.us (or drop them off at the office for us to scan in and display). By submitting your Passover photos, you are giving B’nai Sholom express permission to display them on the congregation’s website and Facebook page, regardless of the subjects’ ages. If you are at all concerned about posting photos of children, please do not send photos of or with them.